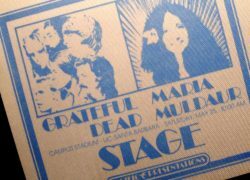 Item description: A scarce Grateful Dead Stage Pass for 25th May 1974, with Maria Muldauer as supporting act . Satin with light blue screen printing. 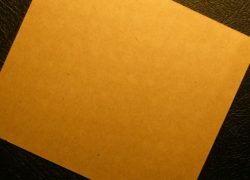 Typical crack & split brown paper backing. Condition report: Near mint condition. Backing intact. Background to Grateful Dead: The Grateful Dead formed in 1965 in Palo Alto, California. Ranging from quintet to septet, the band is known for its unique and eclectic style, which fused elements of country, folk, bluegrass, blues, reggae, rock, improvisational jazz, psychedelia, and space rock. Live performances had lengthy instrumental jams, and their devoted fan base were known as “Deadheads”. Lenny Kaye wrote, “Their music touches on ground that most other groups don’t even know exists. These various influences were distilled into a diverse and psychedelic whole that made the Grateful Dead the pioneering Godfathers of the jam band world”. The band was ranked 57th by Rolling Stone magazine in its The Greatest Artists of all Time issue. The band was inducted into the Rock and Roll Hall of Fame in 1994 and their Barton Hall Concert at Cornell University (May 8, 1977) was added to the National Recording Registry of the Library of Congress. The Grateful Dead have sold more than 35 million albums worldwide. 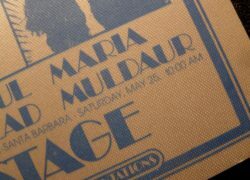 Special notes: The Stage Pass is is rarer than the Back Stage Pass for obvious reasons.